My CPU show 89celcius although the fan speed is 2600 on max. On the other hand, when i start EVGA Flow Control (2.0.8), i have the message "Device not found"
I tried to replace the cables on the board but then i receive error in bios that CPU fan not found. If you touch the back of the pump, can you feel any vibration at all? If so, then your pump should be running. If not, your pump may have failed and you may need a replacement cooler. It sounds like you aren’t getting any waterflow more than likely. Register your card to your account and start a support ticket so you can get the pump replaced. 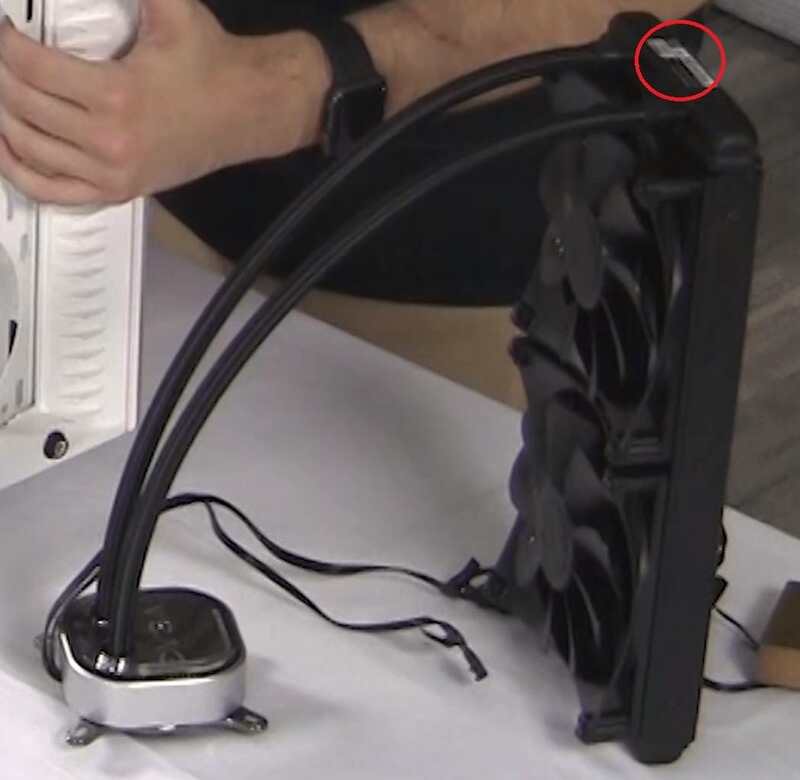 We recommend connecting the CLC fan header to the CPU1 or CPU2 header on your motherboard. curve for the header you connect the CLC to. fan header to this specific location. can you help me hot to find the product serial no ? thank you for the support. i have both AIO_PUMP header and W_PUMP, which one should i use ? thank you but there is only one number but while registering, system asks for part number, what should i do ? When a fan is not connected to a Mobo CPU Fan header, the BIOS will cough up an error on POST saying that no CPU Fan is detected unless you go into the BIOS -> Monitor menu and change 'CPU Fan Speed' to 'Ignore' (then Save Changes and restart) and will Halt on that (for overheat safety reasons). You should have the 4-pin pump power connected to the 'AIO Pump' Mobo header, as stated above..Disregard instructions that tell you to connect that to the CPU fan header on our Mobo's..Then you should be good and be able to control both CPU Pump and Cooler Fan speeds through the EVGA Flow Control software like I can with the Corsair Link software. Hopefully that will get things straightened out..The problem is that you may have the Pump connected to the wrong Mobo header.